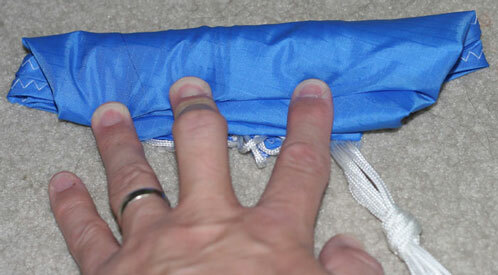 6) Take each of the gores and fold them inward, to start a bundle that's longer but thinner. The monitor cord is holding it down. Riggers use beanbags to help control the canopy as they fold. 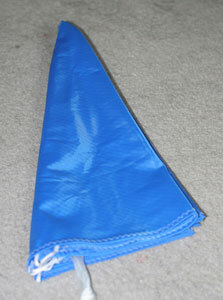 5) Hold the bottom (skirt) of the canopy down with one hand, grab the lines near the middle with the other, and pull the lines up into the canopy. 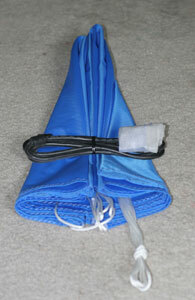 You want the majority of the lines on the fabric, with a short "tail" below the skirt. 4) Hold the canopy in place with one hand and take a moment to pull the lines taught again Then grab half the gores and flip them to the other side, so we have two piles of fabric, each with half the gores, and the lines coming out of the middle. 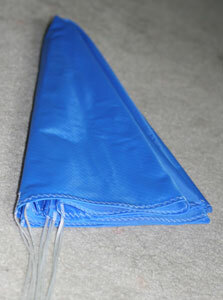 3) Grab the center of the canopy with one hand and the bottom of the lines with the other, pull everything out straight, and lay it on the floor. Flake out all of the gores, so that the lines are all on one side, and the fabric on another. 2) Next, straighten out the lines as much as possible. 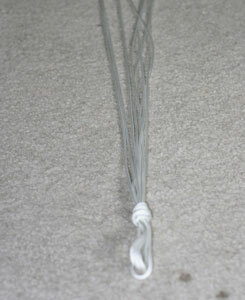 Tie a simple overhand knot near the "bottom" of the lines, to provide an attachment point for the rest of the recovery system. 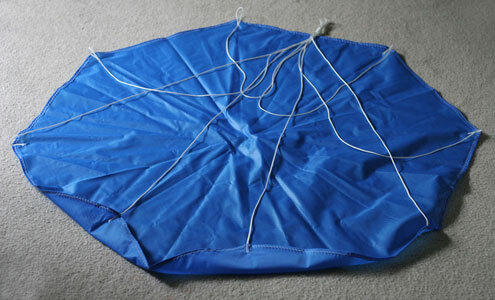 1) Start with your parachute laid out flat, and inspect it for any burns, tears or other damage. OR 6) Another option is to fold the gores back over. 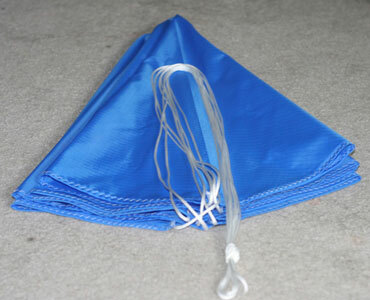 7) Next, fold the apex down towards the skirt, then fold in half two more times, resulting in a long, thin bundle. Perfect for small diameter body tubes. How you proceed from here depends on the size of your parachute, and the space you need to fit it in. 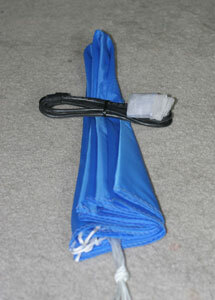 You can fold it into a long, thin shape, something short and squat, or something in between. 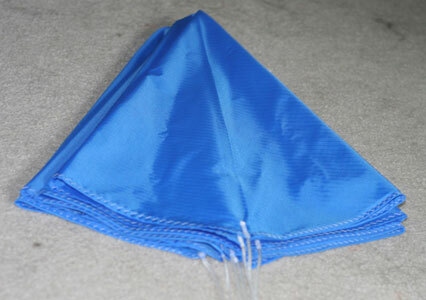 Experiment at home, on the floor, and figure out what works best for a given parachute in a given airframe..
7) Fold them in half again, resulting in a very narrow bundle.